We are back with our November issue! Just to remind you what the point of these are, each month we will feature languages and inform our readers more about its origin etc. This month we will be attending the Nordic Translation Industry Forum in Helsinki from the 22 – 24. We are very excited to participate in this forum and show off some of our latest developments. If you are in the area, we would love to see you. As we will be travelling north, we thought we would keep with that theme; we will indulge you with some fascinating information on the Northern Germanic languages. Then (this is where you can get involved) we will also be selecting one of our clients every month through a “please pick me” system and we’ll feature their services and what kind of work we do for them. The featured client will get 10% discount on all projects started within the featured month!And some free publicity! It might be a really good idea to try to get selected during a month when you are expecting a lot of work to translate so you can be a hero and save your company some money! Get in touch with the team below if you would like to be featured. Without further ado….this month we will be featuring our new partner……drum roll please…..
Pangeanic solves labelling issues in 24 languages! Correling.com was the brainchild of Vaclovas Mališauskas, CEO at UAB Eurokam. Amongst other things, Eurokam’s business revolves around designing plans and best strategies to list their partners’ products within agreed territories. Eurokam is proud to boast partnerships with some of the largest confectionery, grocery and alcoholic beverage producers in the world. The aim is to provide quality and affordable product choices for their consumers. Correling.com was developed to handle the processes of food and beverage label preparation, verification, and professional translation in a quick, convenient and cost- efficient manner. Correling needed the very best label translation support in the market, so they turned to Pangeanic. After being in the industry for many years, Eurokam saw a huge gap in the market and decided to provide a much-needed solution for millions of potential clients across the world. Eurokam’s clients were crying out for an easy to manage, user-friendly, intuitive, all-in-one, customizable and most importantly – label translation support in 24 languages! Another huge obstacle to overcome was to make sure we follow all the regulatory procedures in all countries because, as we know, in food regulation, one size does not fit all. When translating food labels into 24 languages, there is no room for errors and you need to work with a top translation agency……other than that, it’s really a piece of cake! Correling conducted a vigorous search and selection process to find a translation company who deeply understands international labelling/regulation laws and can translate around 50 European language combinations in a very quick turnaround time. Correling needed to have a dedicated translation management team, expert label translators who could cover 24 language combinations (English to the 24 languages of the European Union and vice versa to follow soon) engineers and finally a global account manager at their disposal. They also needed our translation management system to “speak” to Correling and manage the requests and translated labels inside the Correling portal. Manuel Herranz and Garth Hedenskog (CEO and Sales Director respectively) flew out to Vilnius Lithuania on a cold night in late 2016 to make this ambitious partnership a reality. They met with Vaclovas and his team to design the functionality of the label translation portal. Several more meetings were held which included various engineers and project management leaders to come up with the perfect, easy to use system. The Correling label management and translation platform is fully functional and up and running, providing clients with a one-stop label creation portal. All clients need to do is log in and design their label using a suggestion template to ensure they can’t go wrong. The platform also provides label makers with guidelines to follow to ensure regulatory guidelines are followed. Once the source label has been designed, with a click of the mouse you can select your required languages, pay directly via debit or credit card and sit back and wait a maximum of 3 – 5 days for their creation to come to life. Their labels in 24 languages will be delivered to the portal to ensure strict security procedures are followed. Labels are translated and reviewed by in-country label linguists, who are experts in each field. After fantastic teamwork and collaboration from teams at Correling and Pangeanic we feel we have brought a unique and powerful tool to the market. 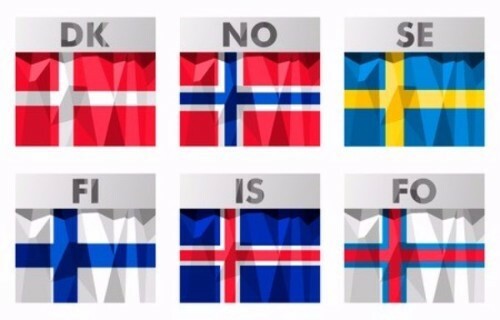 Translating Nordic languages can be an expensive exercise for two main reasons. 1, life for our friends in the north is on average about 25% more expensive than the average in the rest of Europe. An example; the Nordics have the most expensive food and alcohol prices in Europe! And 2, the pool of expert translators is also much smaller than the pool of German, French, Spanish and Italian for example. Translating Nordic languages (Icelandic in particular) could cost 50% more than a central European language translation. So if you are going to invest in these higher than average languages, it would be a wise decision to select a translation company with a pedigree and vast experience in these languages. Having good references is very important also. Translation teams need to know and deeply understand the subtle difference in the languages to avoid errors and/or offence. If you would like to read more, click here.